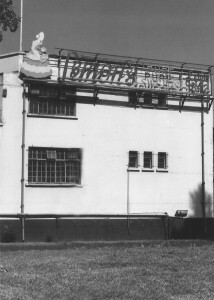 Lemon’s Sweet factory was situated on the Drumcondra Road in Dublin. It gave employment to hundreds of young men and women from the city and surrounding suburbs of Dublin. Early morning traffic would see lots of cyclists heading into the factory to start work. Each Friday evening they would dash out of the gate on their bicycles heading home with their weekly wage packet in their pocket. The money was too quickly spent on the Pictures or a dance. The lads would make sure to buy their jar of Brylcream for to style their hair and the girls would make a mad dash into Woolworths for their make-up. Do you remember Lemons Factory or do you have any story connected with working there? Let us know.